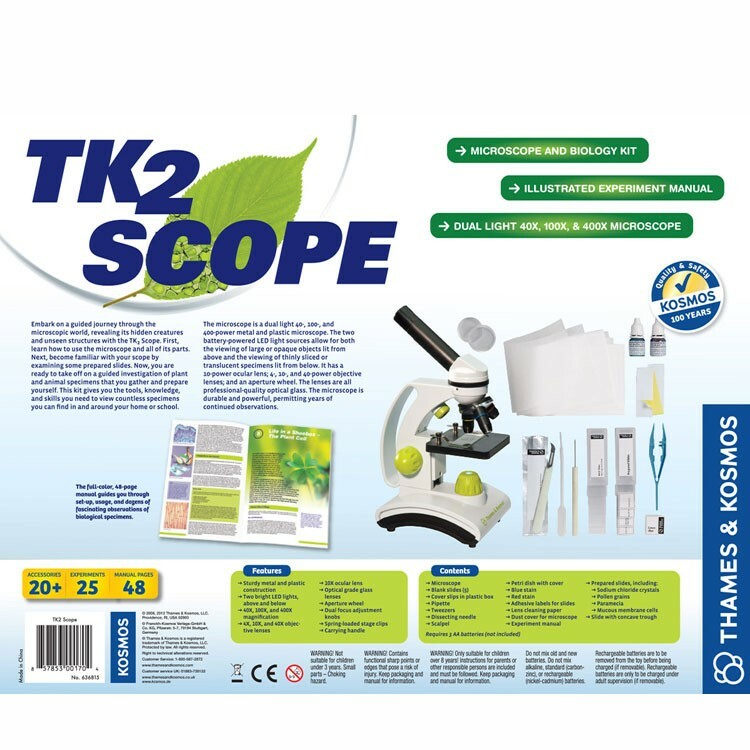 Learn about the various fascinating life forms and structures on earth that are invisible to the naked eye with this TK2 Scope deluxe microscope kit by Thames & Kosmos. 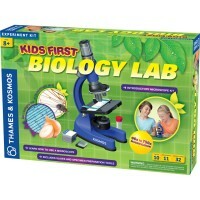 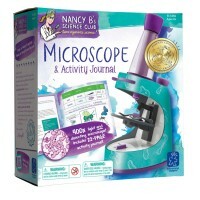 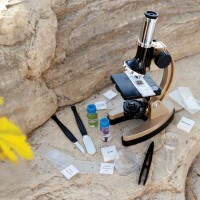 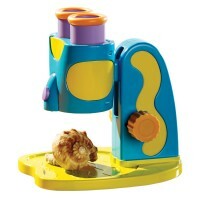 Jump into the world of microscopy with the help of the TK2 Scope Microscope & Biology Kit from Educational Toys Planet! 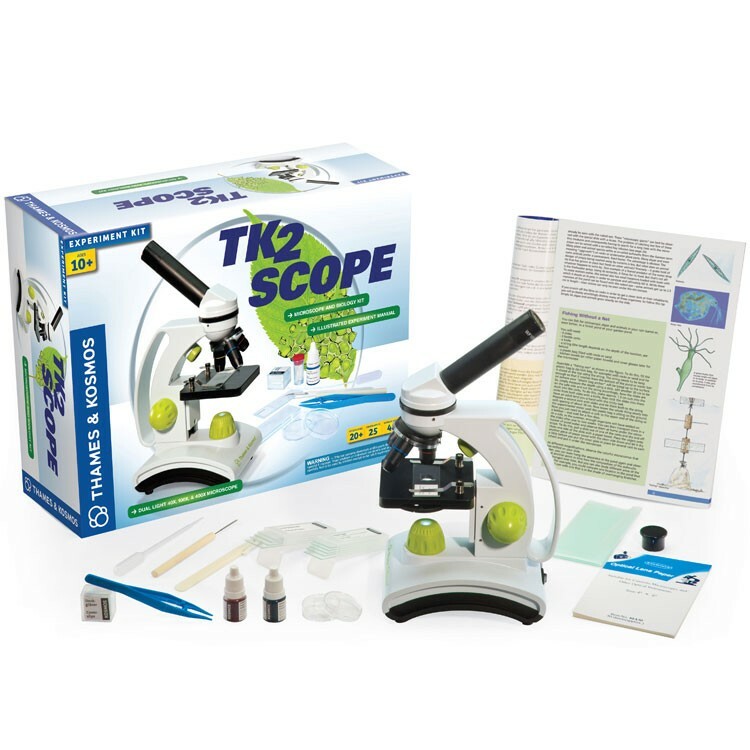 Learn about the various fascinating life forms and structures on earth that are invisible to the naked eye with this quality microscope kit. 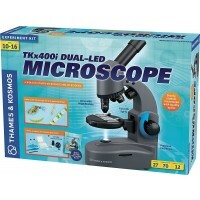 Complete with a 48 page manual, full of graphics and instructions, as well as various experiments, and explanations on how to use a microscope, this scientific microscope kit by well accredited German kit manufacturers, Thames & Kosmos, comes with a dual light microscope with 4-, 10-, and 40- power objective lenses. 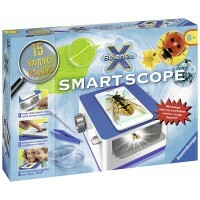 Two vibrant, battery powered light sources allow for the exploration of objects with any size or clarity. 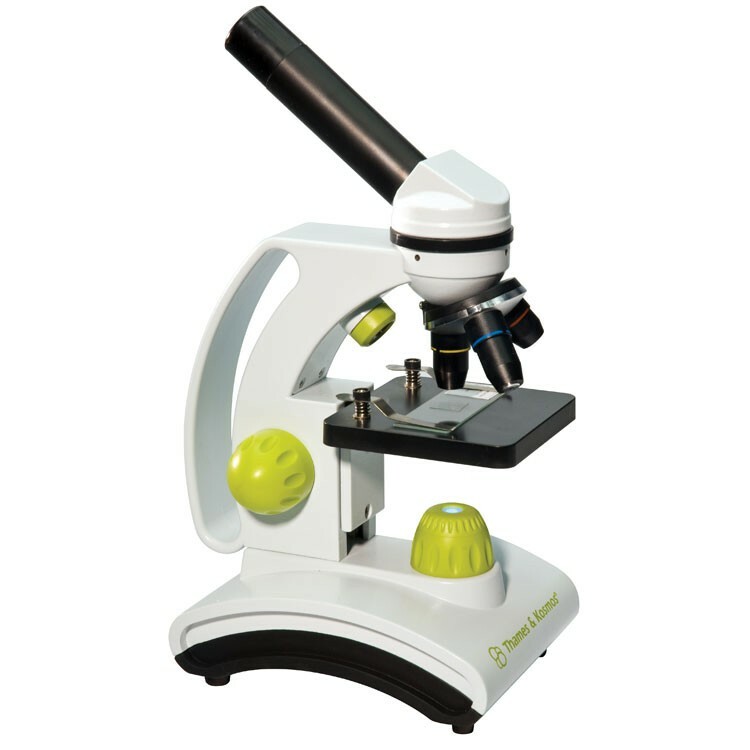 The lenses on this sleek biology kit and microscope are of the highest professional quality, and the microscope itself is extremely durable, and is perfect for any older child, from their first years of exploration, to any future years. 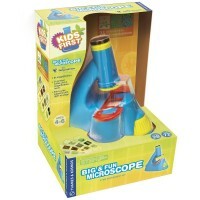 Your young scientist's exploration, visual, observation, critical reasoning, and comprehensive skills will increase right before your eyes with this microscope set, made specifically for use in the home and classroom. 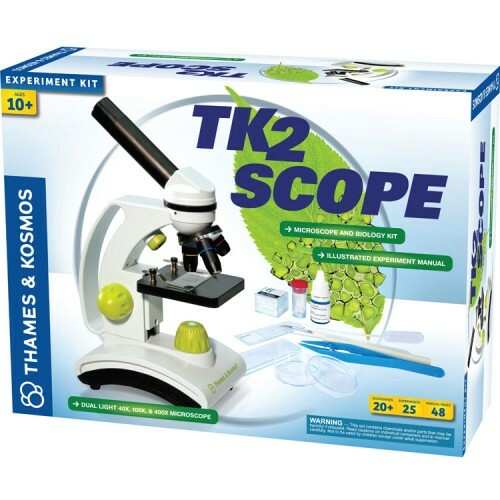 This TK2 Scope Microscope & Biology Kit comes with over twenty different tools and accessories, and is sure to become your young biologist's most cherished learning companion, so don't hesitate to purchase this microscope and biology set today! 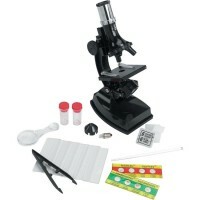 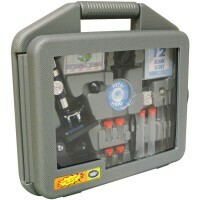 Dimensions of package 13" x 16.5" x 5.1"
Write your own review of TK2 Scope Microscope & Biology Kit.